Investing in a metal roof can beautify your home, increase its value, reduce your environmental footprint, and provide a lifetime of protection. As you consider the important factors that go into your metal roofing decision, consider metal roofing finishes. The surface finish on a metal roof provides both durability and beauty for a metal roofing system. To help you learn about metal roofing finishes, here’s a list of factors to consider before you make a buying decision. There are two basic types of paint chemistry used on metal roofs today. The respected industry leader is polyvinylidenefluoride finishes. They are called PVDF for short and they are sold under the brand names of Kynar™ and Hylar™. These coatings are known for their fade and chalk resistance. If you want to provide the most lasting finish for your home or if you live in a region that has high UV exposure, PVDF is the way to go. Due to strict quality control on the part of the licensors of these coatings, you can expect very similar performance from all PVDF products. There is presently no type of finish even on the horizon that will out-perform the PVDF coatings. Some metal roofing manufactures now offer products that go beyond the industry standard PVDF finish which consists of a primer followed by the top coat. These enhanced finishes have additional layers of PVDF paint such as a decorative print coat or a clear coat. Classic Metal Roofing Systems offers a proprietary powder PVDF called ThermoBond which is applied and baked on top of the standard PVDF finish. ThermoBond provides texture and multi-hued colors. These coatings with extra layers of PVDF include more of the fluorite-based resin for extra protection of the pigmentation. They also have a much longer erosion rate due to their increased thickness and could be even longer than 100 years before repainting is necessary. 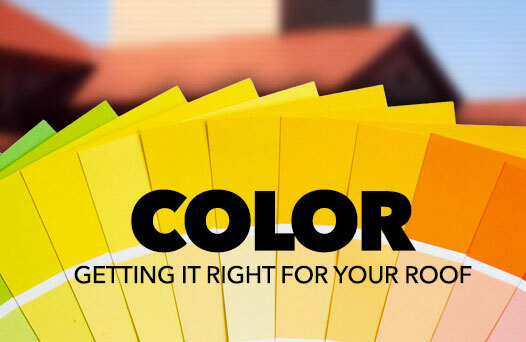 Choosing your roof’s color is a big part of any roofing decision for the way it impacts your home’s beauty and style. But color also plays a role in terms of how long your roof will stay looking like new. The licensors of PVDF coatings have done an excellent job of ensuring that their finishes will have superior chalk and fade resistance. This is through the use of inorganic ceramic pigments. Some of the top grade polyester finishes use similar pigmentation but still do not have the benefit of the PVDF resin for long term durability and UV resistance. Despite excellent pigmentation, lighter colors and more “muddy” colors such as browns and grays can be expected to perform better than bright colors. Primary colors like red, blue, and yellow are called “saturated” in the coatings industry because they have to be formulated with a high percentage of just one pigment. That way, if that pigment changes at all over time, the color is negatively impacted. Other colors that have several pigments in them are less prone to this as a color shift in one or more of the pigments has less impact. Many metal roofing manufacturers tout the environmental benefits of their products including cool colors featuring special pigments that have been tweaked to offer superior heat reflection. This means that no longer is a white or very light-colored roof the only way to obtain energy efficiency. We strongly encourage selecting a color with heat-reflective pigments. These products are often Energy Star listed. For additional energy savings, look for a metal roof that has an air gap between the metal and the roof deck. This thermal break helps to stop conductive heat transfer into the home, working in conjunction with the special pigments which block radiant heat flow. Most homeowners choose a metal roof with a low gloss or matte finish. While the gloss and sheen of a metal roof tend to diminish naturally over time as a layer of dirt and grime collects on the roof’s surface, matte finishes are still often deemed to be the most attractive for homes. It’s important to note that sheen is often a greater concern than gloss. Sheen exhibits itself when the sun is behind the home rather than shining into it. It can be a good idea to think about the directionality of your home when considering this. Just like with paint finishes inside your home, though, higher gloss finishes tend to be the most durable. For that reason, particularly with matte finishes, choosing the robust PVDF chemistry for your roof’s finish is a wise idea for long term durability. A prime benefit of metal roofing compared to asphalt shingles is that metal roofs are far less likely to get black streaks of mildew and algae over time. Once again, the PVDF finishes out-perform other coatings in this area as their tight molecular bond provides excellent dirt resistance. However, if your home is located in a sub-tropical or tropical area where airborne fungus abounds, of if your home is buried beneath a canopy of trees, we want to stress that while a metal roof is unlikely to show dirt or mildew nearly as quickly as standard shingles, dirt accumulation and even eventual biological growth is probably inevitable. Choosing a darker color roof for these applications can be very beneficial at masking these things. Additionally, most metal roofs can be cleaned by light power washing or with certain biological agents designed to kill mildew. While Classic Metal Roofing Systems has never had great confidence in the granular or stone coatings that are sometimes used on steel roofs, we do respect the beauty of these coatings and the fact that they come at a lower price point compared to PVDF finishes. We do not offer these finishes because, performance-wise, we have seen the granules wear away over time and also be prone to mildew and biological growth similar to asphalt shingles. We discourage their use particularly in areas subject to high UV or a great deal of airborne fungus. There are metal roofs including copper and zinc which make very distinctive roofs in their unpainted forms. As you research metal roofing, you may hear about mill finish corrosion-resistant Galvalume™ steel. These products are not really “mill finish” but actually have a low cost clear acrylic coating on the metal designed to protect it during fabrication and installation. The clear coat wears away over a period of a few years after exposure to the elements. Classic Metal Roofing Systems does offer copper and zinc product options; please inquire for details. 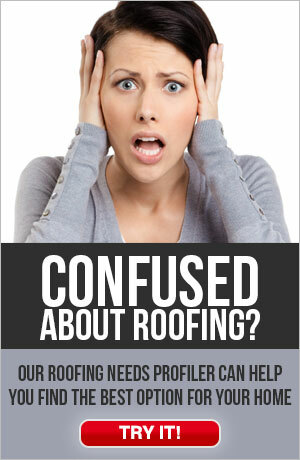 We can answer technical questions and even help you choose the perfect color or style for your new roof. So please, don’t hesitate to contact us. We promise to answer your questions quickly, and help you discover the very best roofing material for your home…even if the best solution is not one our products. 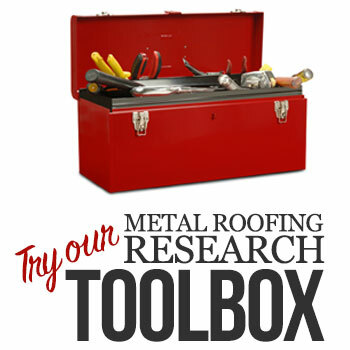 When it comes to metal roofing, there are so many things to consider. Metal type. Product design. Color. Battens or no battens? Ventilation. Finding the right contractor. It can all be quite overwhelming and is exactly why, at Classic Metal Roofing Systems, we focus on providing reliable education and information that can be trusted to guide you to the right decision for you and your home. Fact is, there is no “one size fits all” answer. The best answer is based upon the unique needs of you and your home.